Since inventing the world’s first multi-channel cochlear implant over 30 years ago, Cochlear Limited has developed the world’s most expansive catalogue of hearing loss solutions, from its flagship Cochlear Nucleus System to a bone conduction implant (the Cochlear Baha System) and even a solution for individuals missing high-frequency sounds (the Cochlear-Nucleus Hybrid Implant System). Cochlear has made more breakthroughs than any other company because of its focus on research and development, and GlobalLogic is proud to be part of this legacy. Cochlear has completely outsourced its software product development to GlobalLogic over the past two years, and it plans to make GlobalLogic an even larger part of its core team in the future. 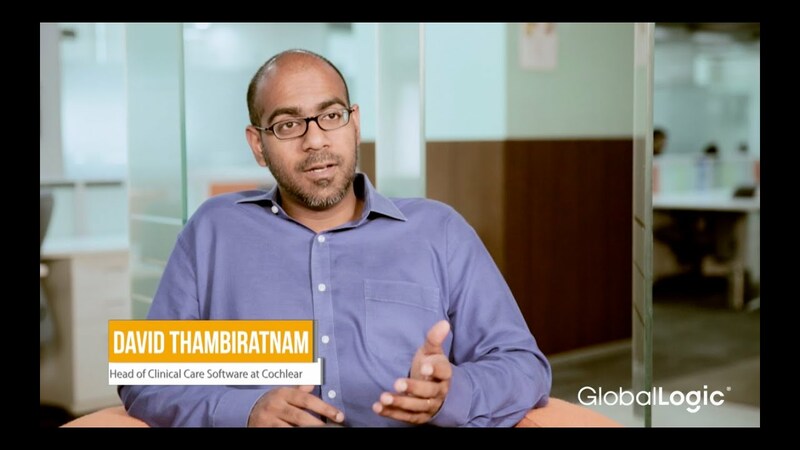 In this video, David Thambiratnam (Head of Clinical Care Software, Cochlear) and Dominique Farrell (Senior Software Project Manager, Cochlear) talk about their partnership with GlobalLogic and how it has helped Cochlear succeed in the hearing solutions industry.